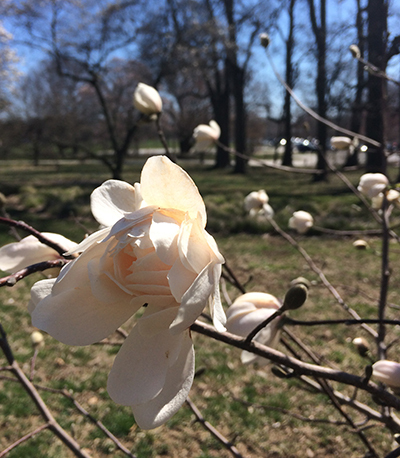 The Magnolia Collection between Worth Health Center and Mertz Residence Hall is truly something to behold. At this time of year each tree takes its turn with bright showy flowers from paper-white to bright pink and even some rich yellow. All of this is complemented by the small spring ephemerals growing in the lawn around them. Magnolia x loebneri ‘Wildcat’ is quite small as it is a relatively new addition to the collection. It stands only about six or seven feet tall but is decked with large white flowers. The flowers sport a multitude of tepals, some sources say up to fifty per flower, which gives them a white rose-like appearance as they begin to open this time of year. 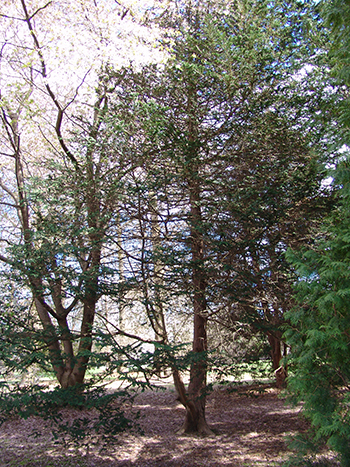 The Pinetum on the south side of campus near the train tracks is home to many interesting plants that are often partially obscured and can be overlooked. 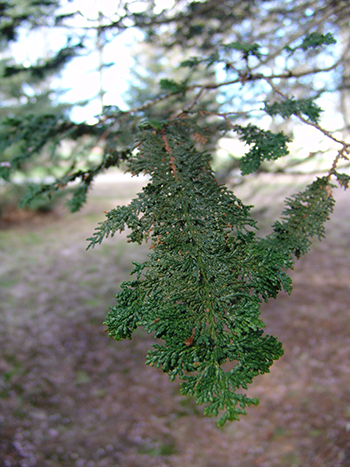 Though we have many specimens of Hinoki falsecypress in the collection, we have only one of the cultivar ‘Filicoides’. Though small, ‘Pixie’ packs a punch. Only about six inches tall, this Iris is diminutive compared to its more common dutch or bearded relatives, but its color is just as exciting. 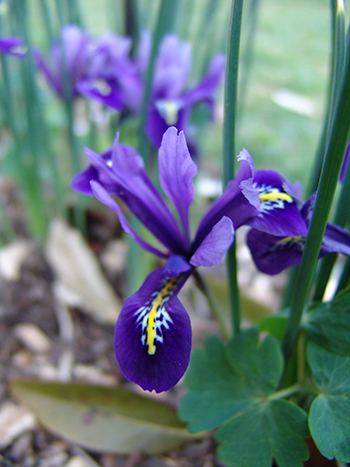 Commonly called the netted iris, Iris reticulata is generally light blue with yellow spots in the throat; however, the cultivar ‘Pixie’ has true violet petals.